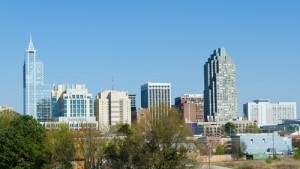 Raleigh ranks ninth among large U.S. cities for economic growth, according to WalletHub. Located in North Carolina’s hilly Piedmont area, the state’s capitol is known worldwide for its Research Triangle Park – a high-tech research and development hub that’s central to Raleigh, Durham and Chapel Hill’s business community. The research park, which includes North Carolina State University, Duke University and the University of North Carolina at Chapel Hill, conducts over a billion annually in research and development. It’s also home to about 190 companies – including IBM, Cisco, GlaxoSmithKline and Sony Ericsson. The universities also produce a steady stream of young (and affordable) engineering and life sciences experts. That abundance of local talent is one of the reasons why Red Hat CEO James M. Whitehurst, chose Raleigh for the company’s headquarters. Red Hat, an open-source software products company, also appreciates the region’s excellent quality of life, including easy commutes to downtown and low cost of living. With a median household income of $55,170, Raleigh’s residents are keeping much of it for themselves. Compared to other large Southern cities like Atlanta, Charlotte, and Nashville, Raleigh had a lower average apartment rent (of $688) as of late 2013. Raleigh-Durham’s supportive community also helps foster innovation, especially in the areas of gaming and enterprise software. Companies like Channel Advisor, ReverbNation, ShareFile, and Lulu are good examples. Raleigh’s startup support comes in many forms, including competitions like the 2015 Raleigh Innovators Program. Twelve teams will be participating in the program this year, tackling problems ranging from repurposing harmful waste to challenges in healthcare and agriculture. The accelerator program is powered by a coalition of organizations, including the Citrix Startup Accelerator, Red Hat and the City of Raleigh. Most cities are lucky to have one tech startup accelerator, but the Raleigh-Durham area has several. While Joystick Labs focuses on the area’s burgeoning gaming community, Launchbox Digital is a standard franchised incubator and Bull City Forward and Durham Coworking are local efforts. American Underground, which has been facilitating early-stage startups in the region, is now adding a code school in downtown Raleigh to help meet the area’s workforce demands. Meanwhile, EmployUs, a software recruitment platform based on the premise that personal referrals are the best source of talent, is scheduled to launch in the fall. If you’d like to have a presence in the Raleigh-Durham area for your business, you can seem more approachable by selecting a local phone number with the 919 or 984 area code. With Halloo you can route calls to your employees anywhere. Get your local phone number today! This entry was posted in Local phone numbers, Small Business and tagged start up, tech by Caren. Bookmark the permalink.